Contrary to popular belief, public service innovation is happening in local communities across the country. The Knight Cities Challenge Winners Summit in Philadelphia is celebrating this by honoring its past and present award recipients, which they believe to be the best and brightest in local government innovation. Not surprising to the readers of NPQ, nonprofit organizations represent about half the recipients, or 18 of 37 winners. Individual civic leaders are the second largest group (10 out of 37), followed by city agencies (7 out of 37) and then universities (2 out of 37). Projects ranged from “Pop-Up City Halls” in Charlotte, N.C., that take council meetings to the citizenry, to an educational eco-science barge floating in the Miami harbor beside million-dollar yachts, to a multi-cultural “New Flavors” food truck in Grand Forks, N.D., that immigrant groups from Africa and Southeast Asia can use to introduce their exotic food. From the nonprofit perspective, it is also important to recognize the pros and cons that come with challenges from foundations, as reported on by NPQ. However, the Cities Challenge is focused on change at the micro-level inspired by community-cultivated entrepreneurs, not grand, structural, or top-down changes. 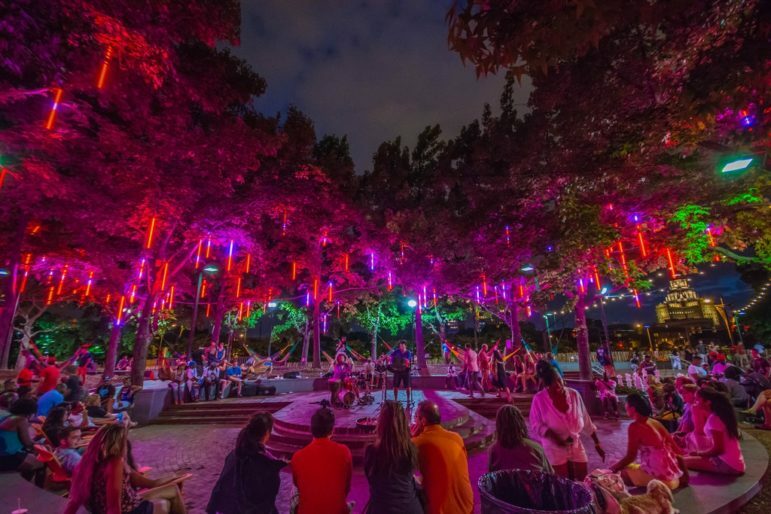 While it opened in the summer of 2014 as a nine week pop-up project financed by the Delaware River Waterfront Corp., Groundswell lived up to its name with its faux “South Jersey boardwalk,” full of bright colors, lights, sand, snacks and hammocks, now being duplicated at Groundswell projects in Long Beach (California), Memphis, and Baltimore. Public service innovation is not easy, as most cities struggle to cover the costs of basic city services and infrastructure needs. However, even under these conditions, innovation, creative partnerships, and civic entrepreneurship projects are happening all over the U.S. In fact, the Knight Foundation received 4,500 applications for the Cities Challenge—this represents a lot of civic innovation. And, to be sure, frontline nonprofit organizations are leaders in public service innovation at the local level.